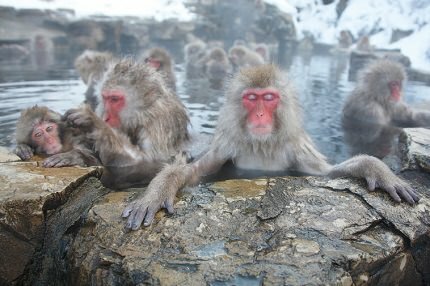 Photographs of snow-covered Snow Monkeys bathing in open-air-thermal pools have made Yudanaka Onsen famous. Some 200 monkeys live in this area. 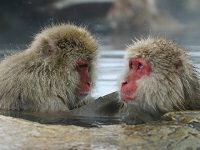 The legend has it that they started to take dips in the hot pools during the 1960s when a local Japanese inn or ryokan owner took pity on them and left food out for them in the wintertime. 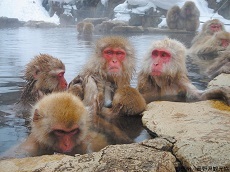 A special outdoor bath or rotemburo was eventually built for them, and Life magazine dubbed the name "snow monkeys." Yudanaka Onsen itself is like a small version of Yellowstone National Park, with its bubbling, steaming and sulfurous volcanic vents and pools. 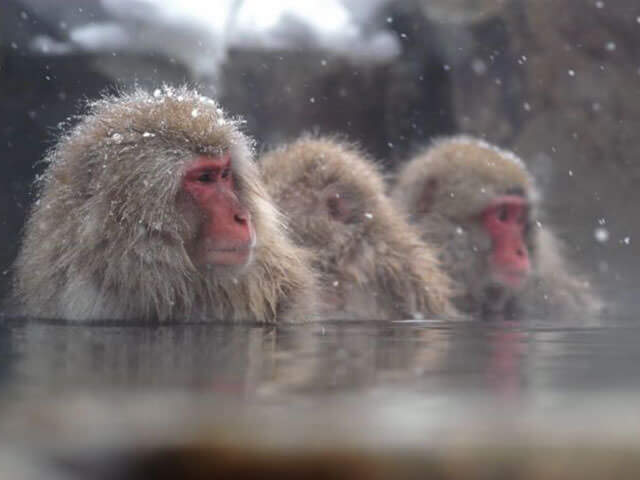 Besides these snow monkeys, Yudanaka Onsen also has long history as a hot spring resort (for humans), dating back hundreds of years like the neighboring Shibu Onsen. 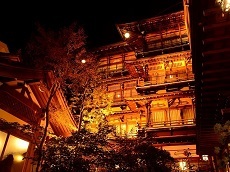 However, Yudanaka has seen more development, giving it a more modern atmosphere. 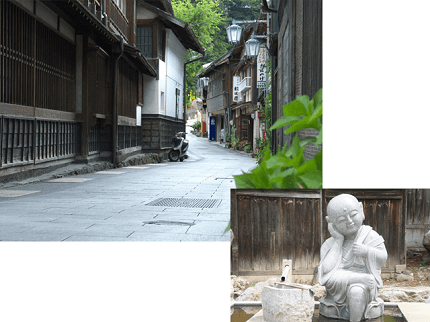 The atmosphere becomes more traditional as one walks upwards from the bottom of the gently sloping town, where the Yudanaka train station is located. 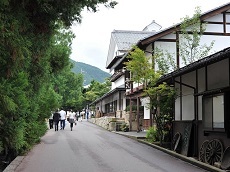 Yudanaka Station is the last stop along the Nagaden Nagano Line, so people traveling by train will first arrive in Yudanaka before exploring the rest of the Yamanouchi area. Right inside the station is the Kaede no Yu public bath, allowing visitors to start enjoying the area's hot spring water immediately upon arrival. There is a free footbath located just outside the station for travelers not quite ready to completely submerge in the water. Come see this spectacular site during our seasonal line of Winter Discovery Japan Tours available in December and January. 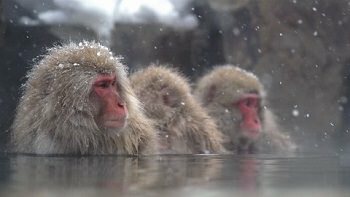 Come on an exciting winter getaway with us through Nagano, Tokyo, and the rest of Japan with a chance to see adorable snow monkey!